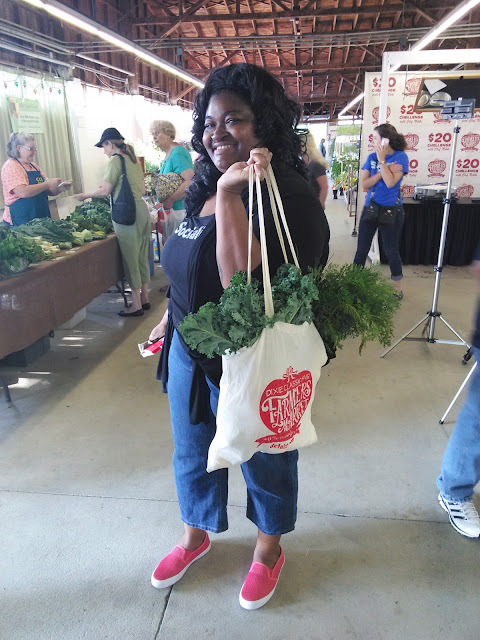 To prove that you can eat locally grown food AND stay within your grocery budget, the Dixie Classic Fair Farmers Market and the City of Winston-Salem is sponsoring the $20 Challenge twice a month through September 2015. 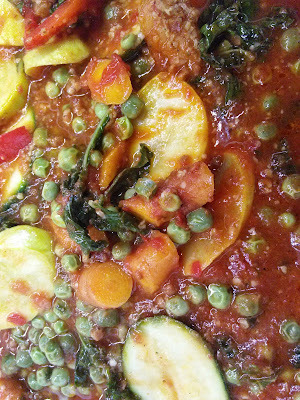 This month, I made Sweet Potato Pasta with a tomato primavera sauce. I wanted to have a little fun with this episode. Making pasta is easy. 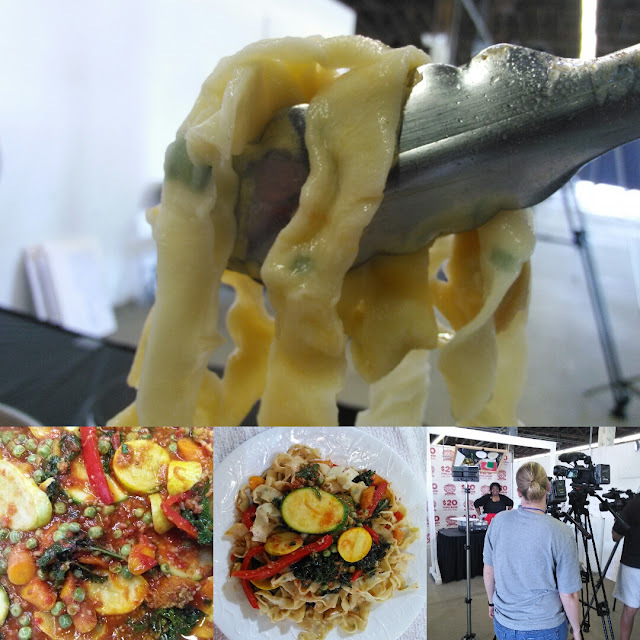 I caught the pasta-making bug years ago and I rekindled my love of handmade pasta last month and I continued my "knead" to have fresh pasta in this latest $20 Challenge episode. Watch the video for the technique. The sweet potato gives the pasta color, a little bit of flavor and a whole lot of opportunity to have fun. Flecked with fresh chives, it's incredibly easy to make. Flour, eggs, and any flavor additions you have, if any. Get the whole family involved in kneading the dough and rolling it out in thin sheets and you'll have dinner in just a few minutes. A little secret: If you don't have a rolling pin, just use a wine bottle or a BIG can of beans to roll out the pasta sheets. I want you to have fun with this episode. It's really not about a recipe. It's all about the technique. You can add any vegetable you like and use any homemade or jarred sauce. For those of you recipe sticklers, I've posted something to guide you in the right direction. Mound the flour in the center of a large bowl. Make a well in the center of the flour, add the eggs, salt and white pepper. Use a fork to beat together the eggs. Add the chives and mashed sweet potato. Begin to incorporate the flour starting with the inner rim of the well. As you incorporate the eggs, chives and the sweet potato, keep pushing the flour up to retain the well shape (do not worry if it looks messy). The dough will come together in a shaggy mass when about half of the flour is incorporated. Empty the bowl onto a floured work surface or countertop. Start kneading the dough with both hands, using the palms of your hands. Fold the dough over itself and push the dough away from you using the palm of your hands. Add more flour, in 1/2-cup increments, if the dough is too sticky. Once the dough is a cohesive mass, remove the dough from the board and scrape up any left over dry bits. Lightly flour the board and continue kneading for 3 more minutes. The dough should be elastic and a little sticky. Continue to knead for another 3 minutes, remembering to dust your board with flour when necessary. Wrap the dough in plastic wrap and set aside for 20 minutes at room temperature. If using right away or for a minimum of 30 minutes in the refrigerator if using for later. The dough will keep fresh for up to 3 days after this step. When you're ready, roll out the dough in thin sheets (as per the video) and cut and form as desired. Pasta primavera is a simple dish using the fresh vegetables of the season. Primavera means "Spring" but you can prepare this during ANY season with just a light dusting of Parmesan cheese, olive oil or a light tomato sauce, which I've done here. 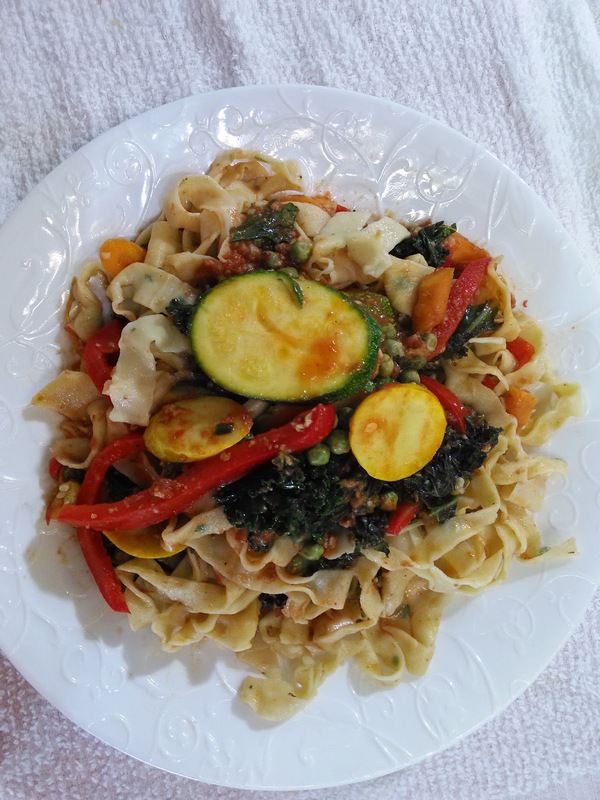 The following recipe is how I like to prepare Pasta Primavera – whatever vegetables I can get at the farmers market with a little wine and tomato sauce. Watch the video for the technique. That pasta looks so gorgeous! You just can't beat fresh pasta! 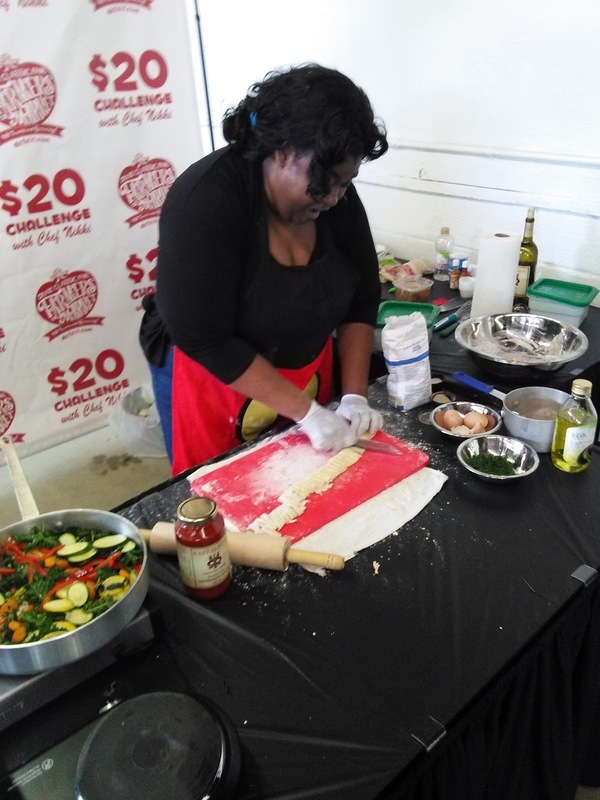 I love the idea of the $20 challenge - it looks as though you were very successful with this pasta dish. I love the $20 challenge, such a great way to show that it's not expensive to eat healthily. And that pasta looks amazing. Girl you nailed it! This dish looks delicious. Oh my goodness! That pasta looks so perfect! What a great recipe! 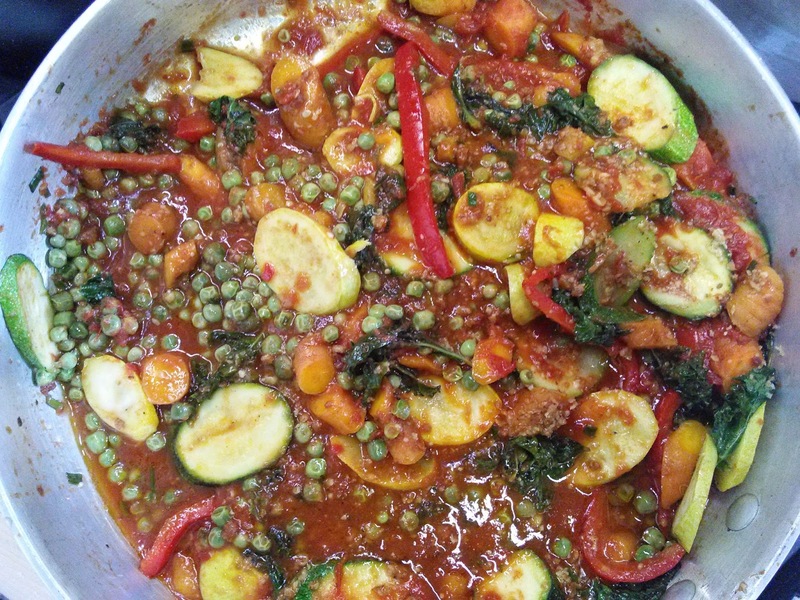 That dish looks fantastic - and what a great challenge! 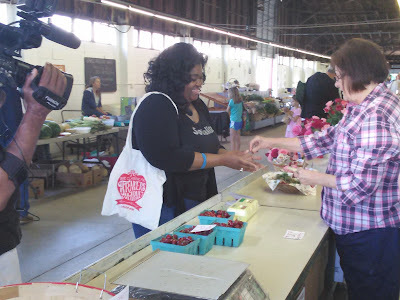 I totally assume that it's expensive to buy local but you've proven otherwise. Love the sweet potato homemade pasta. I bet it is delicious! I love sweet potatoes and I love a good challenge. What a wonderful dish. Kudos! I always love watching your $20 Market Challenges! MMM and YES to this pasta!! This dish is all kinds of yes! I'm loving all the bright colours and flavours, and the way it shows off all the wonderful veggies that are coming into season now. Oh, and that pasta? Totally genius. I've used sweet potato to make gnocchi before, but I've never thought to use it for a tagliatelle style noodle. Must make this ASAP.